Daniel Fitzpatrick is a Lecturer in Politics at Aston University. Previously he was a Lecturer and Research Fellow in Politics at the University of Manchester. He has also held research positions at the University of Sheffield and has been a Visiting Fellow at Boston University. 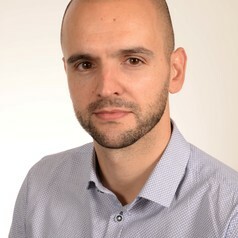 Danny's main interests are in the study of regulation, public policy, British politics and theories of state transformation. His book on The Politics of UK Regulation: Between Tradition, Contingency and Crisis was published by Palgrave in 2016. Danny is also interested in the politics of sport, particularly football. Along with other colleagues working in this area he helped set up The Football Collective in 2015 - a new research network designed to promote critical analysis of the game.